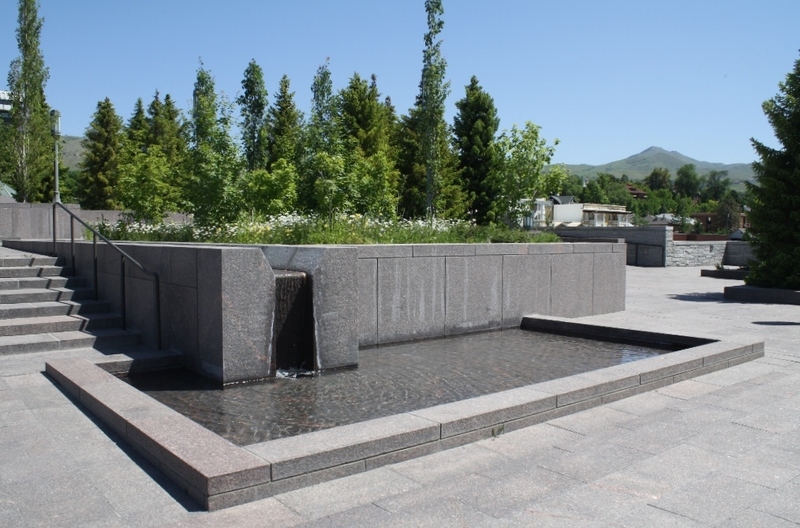 While in search of interesting examples of landscape architecture in Salt Lake City last spring, I came across a building and site with an unusual juxtaposition of formal and naturalistic design. 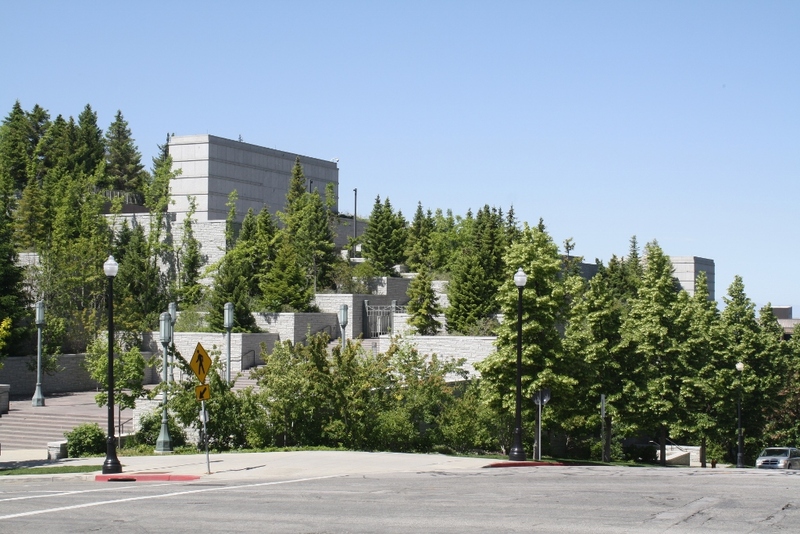 The LDS Conference Center includes two sides that were designed to represent a mountainside, dominated by a series of terraces with coniferous trees. 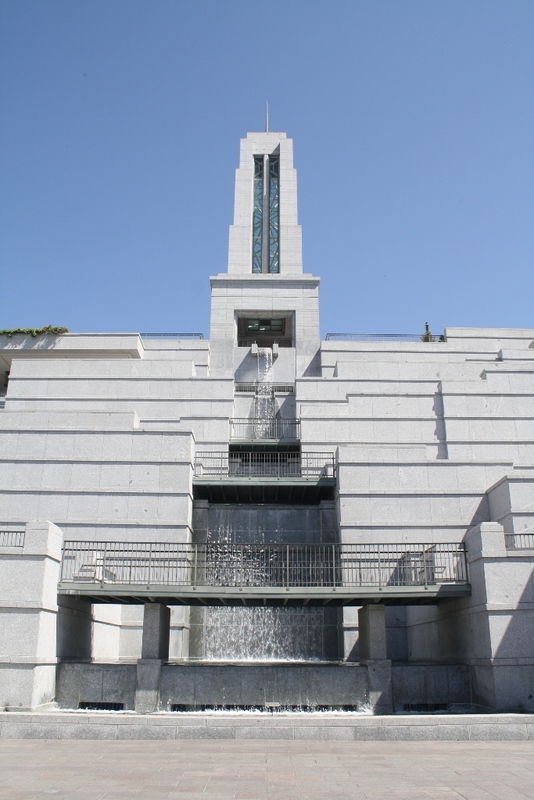 The other two sides of this massive edifice, however, are quite formal in design, with a prominent tower from which a water cascade falls to the street level below. The roof landscape also features this peculiar blending of nature and structure. 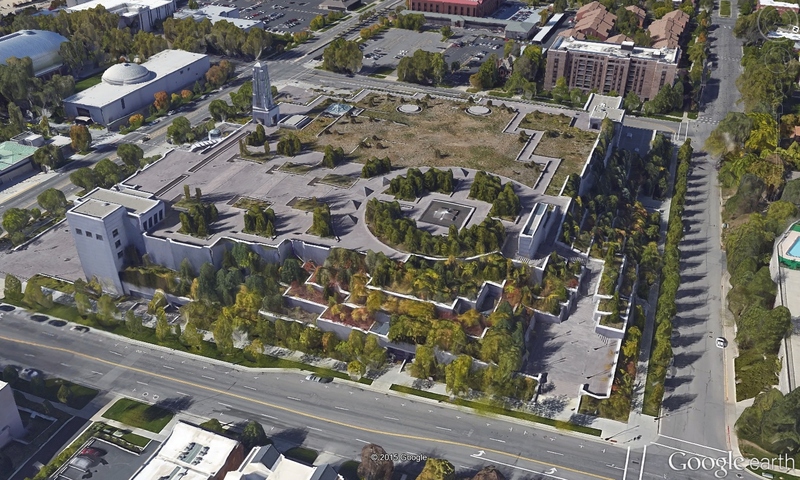 It’s almost as if vegetation were taking over the building from the east and north sides. 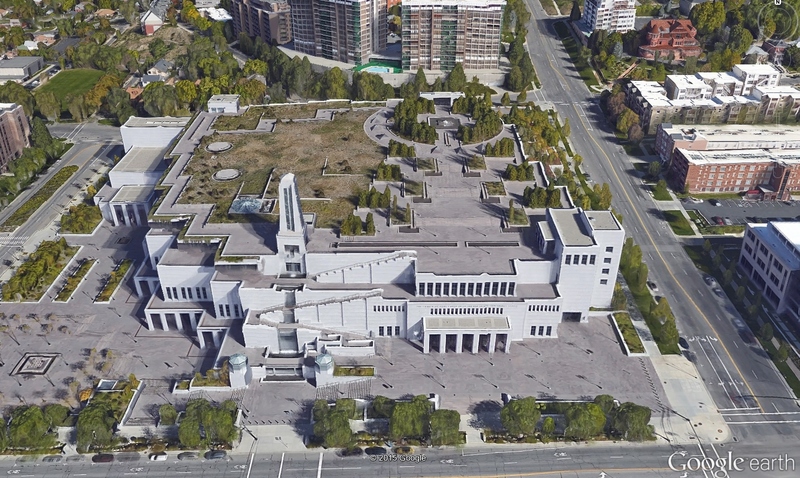 Many parts of this design are quite attractive, but I’m not so sure that the scheme works as a whole. 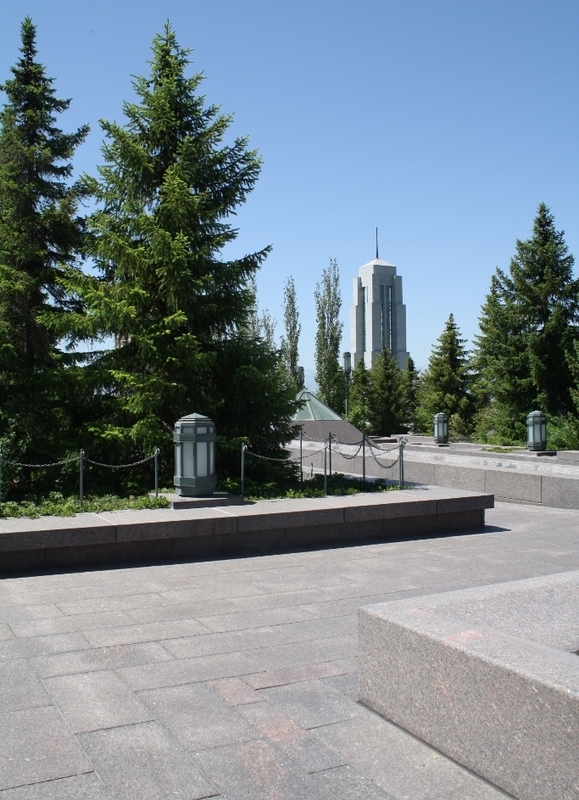 LDS Conference Center (view from south) – The vast and stark hardscapes of the roof and entry plaza contrast with the naturalistic planting design of the roof’s large meadow and trees. 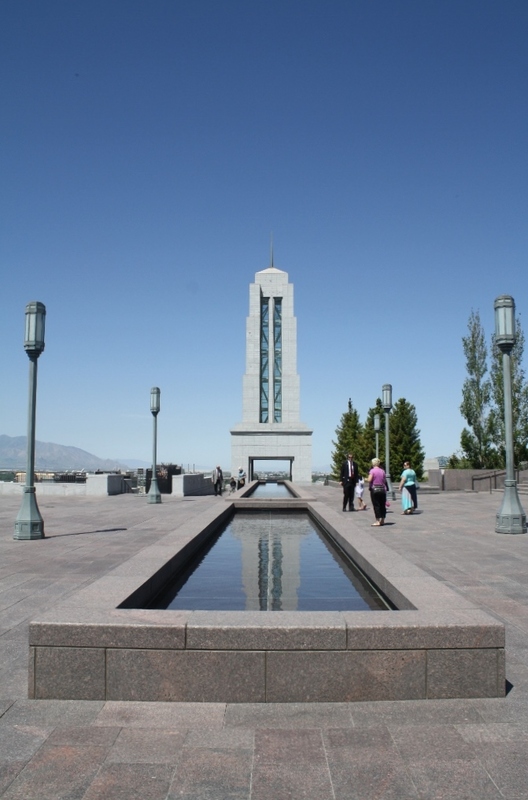 Formally-designed elements of the building and landscape include a tower with a water cascade that falls down to the street level, and reflecting pools on the roof. 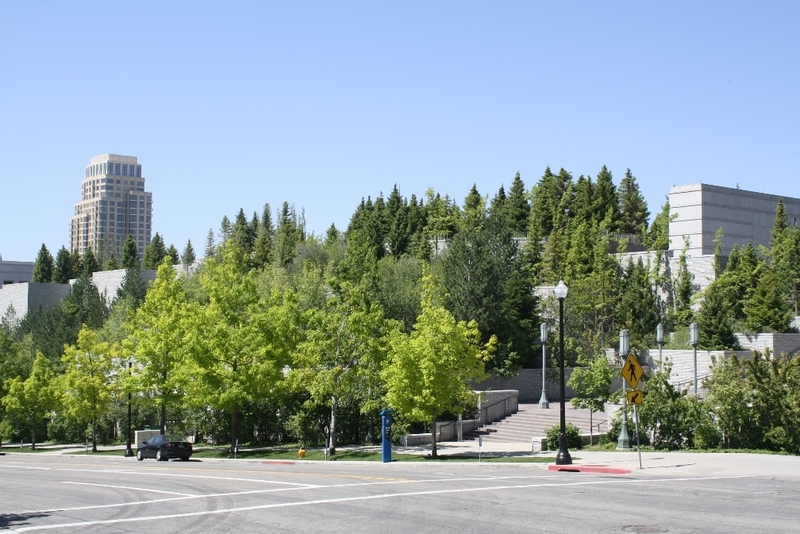 Green roofs have important environmental and economic benefits, which include reducing stormwater runoff, cooling urban air temperatures, improving air quality, and reducing energy usage in buildings. 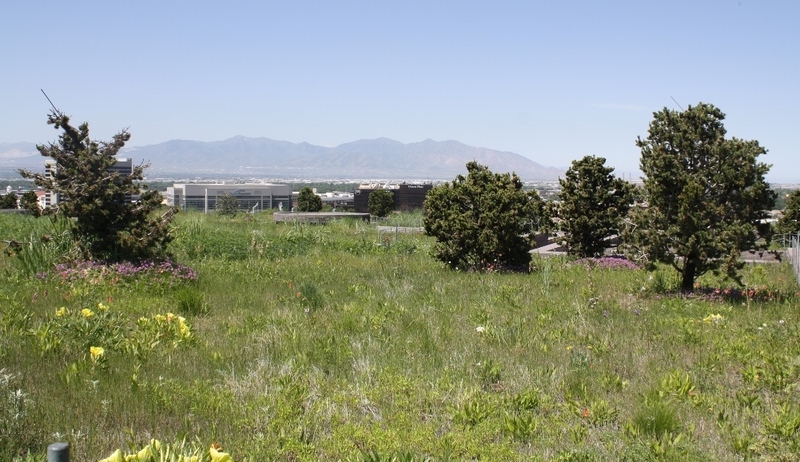 Another positive outcome that I hadn’t given much thought to, until this week, is the wildlife habitat that green roofs create. 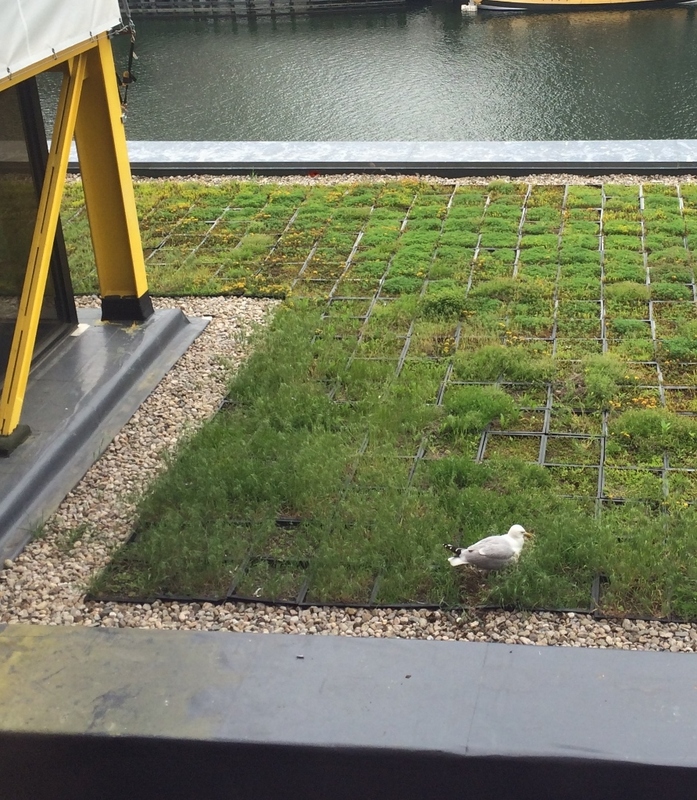 This roof (below) in Boston supports a nesting gull, standing over its brood of chicks. Who could ask for a better home, with such great views of the city and harbor?